Leaves hair strong, sleek, and frizz-free. 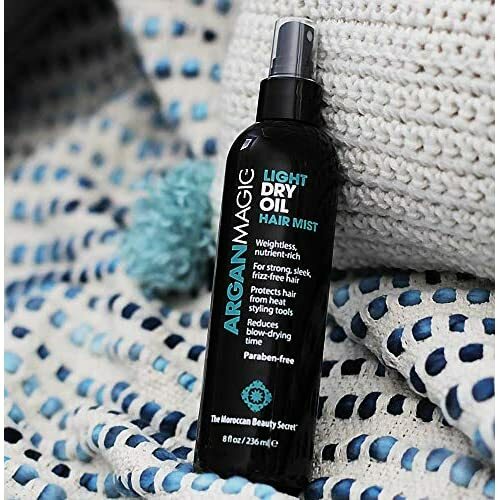 Argan Magic Light Oil Hair Mist is enriched with Argan Oil to transform dryness into soft, radiant-looking hair and skin. 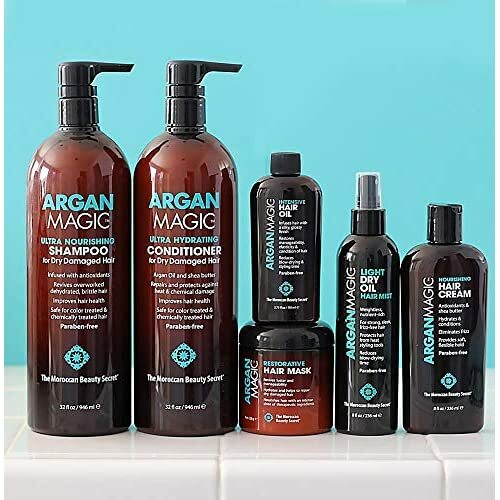 Instantly absorbed, its deeply nourishing formula helps repair split ends and fight frizz while providing vital nutrients. This multi-use mist can do it all. 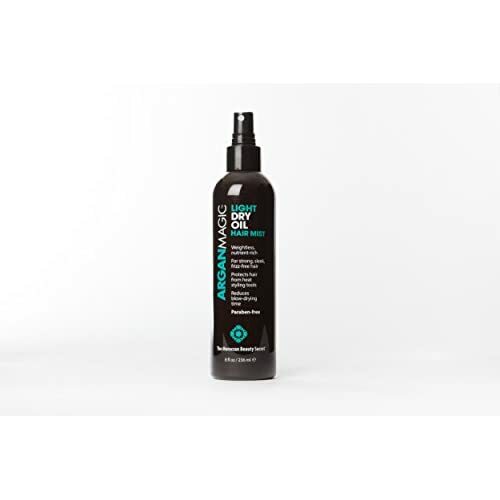 Protects hair from heat styling tools. Reduces blow drying time. Paraben-free! Contains Argan Oil: Superfood for the skin and hair!